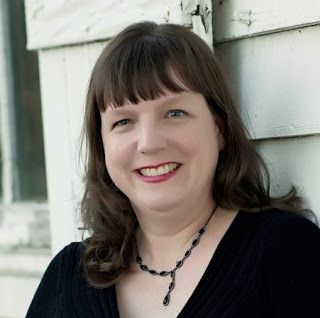 Today, I'm stoked to have Cat Winters stopping by the blog to discuss her fantasy retelling of the life Edgar Allan Poe, The Raven's Tale. Can you tell us a little about The Raven’s Tale? What kind of a retelling of Edgar Allan Poe’s life is it? THE RAVEN’S TALE focuses on the events of Edgar Allan Poe’s life between February 1826 and April 1827, when he was 17 and 18 years old. The novel opens when young “Eddy” is preparing to escape his difficult home life and head to the prestigious University of Virginia. I’ve stuck closely to the historical details of Poe’s real life and populated the book with his family members, friends, and classmates. However, half of the chapters are narrated by young Poe’s burgeoning Gothic muse, so you’ll find fantasy intertwined with reality in my interpretation of the legendary author’s teen years. Why Edgar Allan Poe? What drew you to this author’s life? And what inspired you to retell it? I discovered Poe’s writing when I was about 12 years old and was immediately intrigued by his dark, shocking poems and short stories. When I was sixteen, a teacher assigned him to me as my author to study in my American literature class, but I focused on his work, not his life. I’ve loved Poe’s writing for decades but never actually learned much about him as a person. In 2016, I needed to hand in a young adult novel to my publisher to fulfill a two-book contract, and I wasn’t exactly sure what I should write about. One day, as I was walking through my house, doing nothing of great importance, I realized it might be interesting to write about the teenage years of a popular historical figure. Immediately, my old favorite, Edgar Allan Poe, came to mind. What do you bring to the story of Edgar Allan Poe’s life with The Raven’s Tale? Most people don’t know anything at all about Poe’s teenage years. When I first decided to create this novel, I didn’t even know where he lived as a teen. I think of THE RAVEN’S TALE as Edgar Allan Poe’s origin story. When we read about murder and madness in tales like "The Tell-Tale Heart" and "The Cask of Amontillado" or hear about a grieving lover sleeping next to his wife’s corpse in poems such as "Annabel Lee," many of us think, “What type of person writes about such twisted, gruesome things?” I wanted to show readers that even an iconic writer of horror started off as a young person with a multi-layered personality. He wasn’t simply an angsty, haunted teen. My goal was to dispel some of the false legends that haunt Poe’s legacy to this day and show how a troubled but ambitious young man eventually transformed into a literary rock star. How does The Raven’s Tale differ from other retellings of Edgar Allan Poe’s life out there? Most novels about Poe, such as MRS. POE by Lynn Cullen and THE POE SHADOW by Matthew Pearl, focus on his later years and his mysterious death. I couldn’t find any other novel in which an author specifically tackled the life of seventeen-year-old Poe. Moreover, that aforementioned muse character plays a large role in THE RAVEN’S TALE. Most Poe novels are straightforward historical fiction or historical mysteries, but this book is something entirely different. When I was writing THE RAVEN’S TALE, in my mind I saw it unfold as a literary rock opera, and I filled the pages with both poetry and prose. Poe was the orphaned child of traveling theatre players, and he was extremely dramatic in his personal letters and early writings. It felt right to make this reimagined version of his teen years theatrical and lyrical. Oh, yes, there were plenty of difficulties! For one thing, several inconsistencies exist in Poe’s biographies. People who knew him gave conflicting stories about his life, and even Poe himself often made up tales about his past. Putting the pieces of his teen years together felt like assembling a complicated jigsaw puzzle. I also discovered, when attempting the first draft of the book, that writing a biographical novel can sometimes stray too close to writing nonfiction. My audience consists of modern teen readers, and I didn’t want to lose their interest with a tale too dry and disappointing. To ensure readers stuck with me, and to make sure the book seemed more like a novel than nonfiction, I felt I needed to add a fictional element that would pay homage to Poe’s Gothic imagination, which is why I created the muse storyline. The only easy part of writing this book was knowing that I already had a built-in audience. Even though Poe died back in 1849, he still means so much to so many readers, and he influences countless writers, artists, and musicians. The continued reverence for Poe presented another challenge, however: I knew expectations for this novel would be high and criticism might be harsh. This was a risky book to write, and to finish it without losing my nerve, I had to let go of my fears and say, "This is my interpretation of Edgar Allan Poe. Not everyone will like it, but this feels right to me." What do you hope readers get from The Raven’s Tale? I hope readers will finish the novel wanting to read more of Poe’s works and perhaps even learn about the real lives of some of their other favorite authors. Are there any retellings you would recommend, either of Edgar Allan Poe’s life, or in general? I haven’t ready any of the other novels about Poe’s life yet. I didn’t want to be influenced by them. A fairly recent read I recommend is Lita Judge’s MARY’S MONSTER, the story of FRANKENSTEIN author Mary Shelley, told through free verse and haunting illustrations. I’m really looking forward to the upcoming young adult anthology HIS HIDEOUS HEART, edited by Dahlia Adler. It’s a collection of thirteen short stories that are all retellings of Edgar Allan Poe’s tales. I’d just like to thank all my current and future readers. 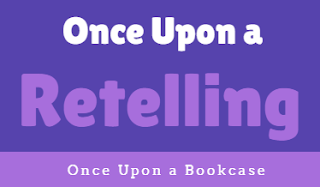 I greatly appreciate anyone who takes the time to explore my peculiar historical tales. Please visit the “Events” page at catwinters.com for a list of where I’ll be traveling to promote THE RAVEN’S TALE. I love getting the chance to meet readers in person. And thank you, Jo, for graciously hosting me! Thank you, Cat, for such amazing answers! I've never read anything by Poe before, but I've always been fascinated by him, and this fantasy retelling of his teen years, with narration from his muse, sounds incredible! 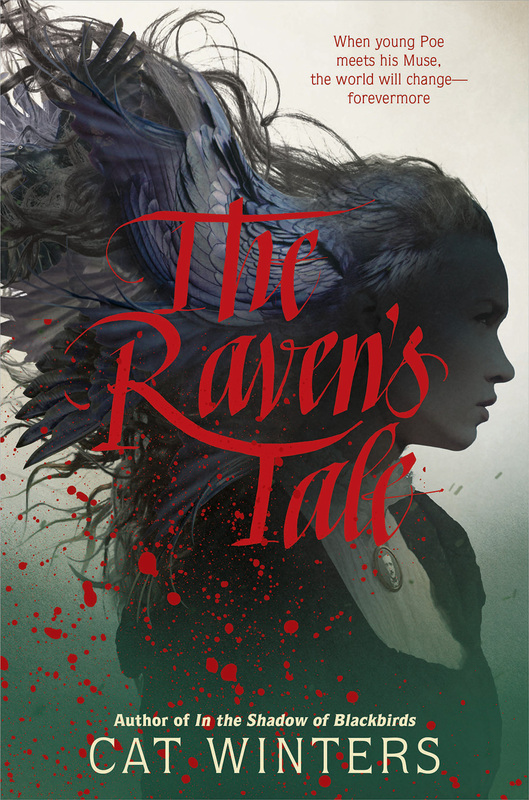 Be sure to visit Cat's website, follow her on Twitter and Instagram, and check out The Raven's Tale, which is published today! Seventeen-year-old Edgar Poe counts down the days until he can escape his foster family—the wealthy Allans of Richmond, Virginia. He hungers for his upcoming life as a student at the prestigious new university, almost as much as he longs to marry his beloved Elmira Royster. However, on the brink of his departure, all his plans go awry when a macabre Muse named Lenore appears to him. Muses are frightful creatures that lead Artists down a path of ruin and disgrace, and no respectable person could possibly understand or accept them. But Lenore steps out of the shadows with one request: “Let them see me!” From Goodreads.